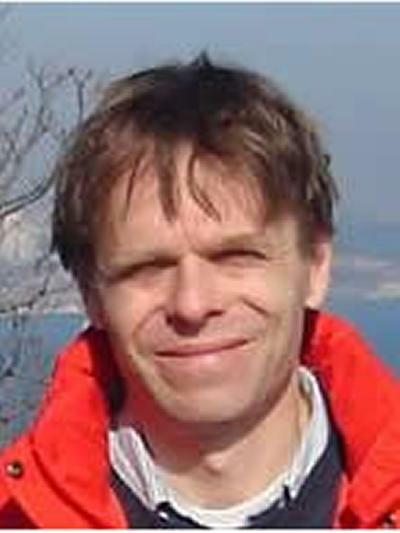 Professor Stephen R Turnock is Professor of Maritime Fluid Dynamics and Head of the Department of Civil, Maritime and Environmental Engineering within Engineering and Physical Sciences at the University of Southampton. We have developed a system of wearable sensors that gather information about the movement of athletes so that we can then simulate what their muscles are doing, their aerodynamic drag, etc. This will allow us to optimize the athlete's technique in much the same way as an aircraft's shape is optimized. Cavitation erosion-corrosion phenomenon is inevitable in marine propulsion system and has adverse effects on the life and functioning of the propellers. The intensity of the cavitation wear and the exact location of its occurrence have been found to be difficult to predict.The main aim of this PhD project is to identify cavitation wear-corrosion mechanism of marine materials used in propellers and rudders in order to characterize the materials based on their behaviour to cavitation erosion simulated by a vibratory probe device. Several tests will be conducted, with and without cavitation protection, using both direct and indirect methods of cavitation erosion tests along with incorporation of Computational Fluid Dynamics (CFD) modelling of the experiment.This research is sponsored by the university research groups National Centre of Advanced Tribology at Southampton (nCATS) and Fluid-Structure Interaction (FSI), along with Lloyd’s Register. Taylor, J. C., Banks, J., Taunton, D., Turnock, S., & Hudson, D. (Accepted/In press). Development of a sailing-specific pose capture method to measure dynamic sailor loadings. Journal of Sailing Technology, [2010-01]. Phillips, C. W. G., Hudson, D. A., Turnock, S. R., & Forrester, A. I. J. (Accepted/In press). Thrust vs. Endurance Trade-off Optimization in Swimming. Engineering Optimization. Lidtke, A. K., Turnock, S., & Humphrey, V. (2016). Saving ocean sound scapes. The Naval Architect, 36-38. Winden, B., Turnock, S. R., & Hudson, D. A. (Accepted/In press). Predicting powering performance changes for ships in offshore conditions from small design modifications. Proceedings of the Twenty-third ISOPE Conference, 1-8. Webb, A., Banks, J., Phillips, C. W. G., Hudson, D. A., Taunton, D. J., & Turnock, S. R. (2011). Prediction of passive and active drag in swimming. Procedia Engineering, 13, 133-140. Godderidge, B., & Turnock, S. R. (2009). A rapid sloshing model for liquefied natural gas carriers. Hydrocarbon World, 4(2), 40-46. Godderidge, B., Turnock, S. R., Tan, M., & Earl, C. (2009). A simplified pump tower approach for realistic CFD simulation of sloshing in LNG tanks. Transactions of The Royal Institution of Naval Architects Part A: International Journal of Maritime Engineering, 151(3), 1-11. Thornton, B., Ura, T., Nose, Y., & Turnock, S. R. (2006). Development of Zero-G Underwater Robots:Unrestricted attitude control using control moment gyros. Seisan-Kenkyu, 58(2), 175-178. Pemberton, R. J., Turnock, S. R., & Rogers, E. (2003). Identification of bilge vortices within CFD simulations. Transactions of The Royal Institution of Naval Architects Part A: International Journal of Maritime Engineering, 145(A1), 57-66. Hughes, A. W., Turnock, S. R., & Abu Sharkh, S. M. (2003). Use of electromagnetic rim driven propulsor for waterjet propulsion systems. Transactions of The Royal Institution of Naval Architects Part A: International Journal of Maritime Engineering, 145(A4), 41-52. Molland, A. F., & Turnock, S. R. (2002). Flow straightening effects on a ship rudder due to upstream propeller and hull. International Shipbuilding Progress, 49(3), 195-214. Turnock, S. R., Wright, A. M., Pattenden, R. J., & Pemberton, R. (2000). Adaptive grid flow solutions around a Mariner hull at drift. Proceedings of 3rd Numerical Towing Tank Symposium, 9-13. Date, J., & Turnock, S. R. (2000). CFD estimation of skin friction experienced by a plane moving through water. RINA Transactions Part B, 142, 116-135. Molland, A. F., Turnock, S. R., & Smithwick, J. E. T. (2000). Design and performance characteristics of semi-balanced ship skeg rudder. RINA Transactions Part D, 142, 230-247. Molland, A. F., & Turnock, S. R. (1996). A compact computational method for predicting forces on a rudder in a propeller slipstream. Transactions of the Royal Institution of Naval Architects, 138, 227-244. Turnock, S. R. (1994). A transputer based parallel algorithm for surface panel analysis. Ship Technology Research / Schiffsteknik, 41(2), 93-104. Molland, A. F., & Turnock, S. R. (1992). Influence of propeller loading on ship rudder performance. Transactions of the Royal Institution of Naval Architects, 135, 105-120. Turnock, S. R., Bertram, V., & Hudson, D. A. (Eds.) (2011). Proceedings of the 14th Numerical Towing Tank Conference. (Numerical Towing Tank symposium; No. 14). 14th NUTTS Local organising committee. Molland, A. F., Turnock, S. R., & Hudson, D. A. (2011). Ship resistance and propulsion: practical estimation of ship propulsive power. Cambridge, GB: Cambridge University Press. Larman, R., Turnock, S. R., & Hart, J. (2008). Mechanics of the bob skeleton and analysis of the variation in performance at the St Moritz World Championship of 2007. In M. Estivalet, & P. Brisson (Eds. ), The Engineering of Sport 7 (pp. 117-126). Springer. Turnock, S. R. (2006). Application of simulation technology to the perfromance evaluation of HMS Victory as an exemplar of the ships at the battle of Trafalgar. In F. Fernandez-Gonzalez, L. D. Ferreiro, & N. Nowacki (Eds. ), Technology of the ships of Trafalgar (pp. 1-31). Madrid, Spain: Escuela Technica Superior de Igenieros Navales, UPM. Turnock, S. R., Molland, A. F., Barrass, C. B., Derrett, D. R., Bertram, V., Rawson, K. J., & Tupper, E. C. (1970). Chapter 8. Manoeuvring. In A. F. Molland (Ed. ), The Maritime Engineering Reference Book: a Guide to Ship Design, Construction and Operation (pp. 578-635). UK: Butterworth-Heinemann. Way, H. F. M., Hudson, D., & Turnock, S. (2018). Assessment of bulbous bow performance over operational profiles using full scale data. 129-139. Paper presented at Royal Institution of Naval Architects: Full Scale Ship Performance Conference , London, United Kingdom. Kim, B. G., Fetherstonhough, C., Wilson, P., & Turnock, S. (2018). Exploration of a possibility to assess erosive cavitation by acoustic emission technique. In Proceedings of the 10th International Symposium on Cavitation (CAV2018) Baltimore, USA: ASME. Lemaire, S., Vaz, G., & Turnock, S. (2018). Implementation and verification of an explicit overset grid method. In 21st Numerical Towing Tank Symposium (NuTTS'18) (pp. 112-117). Cortona, Italy. Marimon Giovannetti, L., Banks, J., Ledri, M., Boyd, S., & Turnock, S. (2017). Fluid structure interaction design development of passive adaptive composite international moth foil. In International Conference on Innovation in High Performance Sailing Yachts 4th Edition. Lidtke, A. K., Turnock, S. R., & Downes, J. (2017). Simulating turbulent transition using Large Eddy Simulation with application to underwater vehicle hydrodynamic modelling. Paper presented at 20th Numerical Towing Tank Symposium, Wageningen, Netherlands. Marimon Giovannetti, L., Banks, J., Boyd, S., & Turnock, S. (2016). Developing tools for assessing the fluid structure interaction of passive adaptive composite foils. Paper presented at Sixth International Conference on Structural Engineering, Mechanics and Computation, South Africa. Taylor, J., Banks, J., & Turnock, S. (2016). Influence of sailor position and motion on the performance prediction of racing dinghies. Paper presented at The 22nd Chesapeake Sailing Yacht Symposium, Annapolis, United States. Lemaire, S., Lidtke, A. K., Vaz, G., & Turnock, S. (2016). Modelling natural transition on hydrofoils for application in underwater gliders. Paper presented at 19th Numerical Towing Tank Symposium (NUTTS'16), France. Lidtke, A. K., Turnock, S., & Humphrey, V. (2016). Multi-scale modelling of cavitation-induced pressure around the delft twist 11 hydrofoil. Paper presented at 31st Symposium on Naval Hydrodynamics, United States. Kim, B., Wilson, P. A., & Turnock, S. (2016). Numerical simulation of an ultrasonic vibratory cavitation device. 55-60. Paper presented at 19th Numerical Towing Tank Symposium (NUTTS'16), France. Boyd, S., Flannigan, D., Banks, J., & Turnock, S. (2015). Design of composite control surfaces for tailored deformation using fluid structure interactions. Paper presented at LIMAS -2015: International Conference on Light Weight Design of Marine Structures, . Marimon Giovannetti, L., Banks, J., Turnock, S., & Boyd, S. (2015). Developing tools for assessing bend-twist coupled foils. Paper presented at 18th Numerical Towing Tank Symposium (NuTTS ’15), Italy. James, M., Forrester, A., Hudson, D., Taunton, D., & Turnock, S. (2015). Experimental study of the transitional flow of a sphere located at the free surface. 1-7. Paper presented at 9th International Workshop on Ship and Marine Hydrodynamics, United Kingdom. Marimon Giovannetti, L., Banks, J., Boyd, S., & Turnock, S. (2015). Fluid structure interaction in high performance catamaran C-foils under load. Paper presented at Proceedings of the 5th High Performance Yacht Design Conference (HPYD 5), New Zealand. Lidtke, A. K., Turnock, S., & Humphrey, V. (2015). Use of acoustic analogy for marine propeller noise characterisation. Paper presented at Fourth International Symposium on Marine Propulsors SMP’15, United States. Banks, J., James, M. C., Turnock, S. R., & Hudson, D. A. (2014). An analysis of a swimmer’s passive wave resistance using experimental data and CFD simulations. 1-6. Paper presented at Biomechanics and Medicine in Swimming 2014, Australia. Banks, J., Marimon Giovannetti, L., Turnock, S. R., & Boyd, S. W. (2014). Developing tools for assessing bend-twist coupled foils. Paper presented at NuTTS ’14: 17th Numerical Towing Tank Symposium, Sweden. Winden, B., Turnock, S. R., & Hudson, D. A. (2014). Self-propulsion modelling of the KCS container ship using an open source framework. 199-205. Paper presented at NuTTS2014: 17th Numerical Towing Tank Symposium, Sweden. Lidtke, A. K., Turnock, S., & Humphrey, V. (2014). The influence of turbulence modelling techniques on the predicted cavitation behaviour on a NACA0009 foil. Paper presented at 17th Numerical Towing Tank Symposium (NuTTS ’14), Sweden. Lloyd, T. P., Gruber, M., Turnock, S. R., & Humphrey, V. F. (2014). Using an inflow turbulence generator for leading edge noise predictions. In A. Talamelli, M. Oberlack, & J. Peinke (Eds. ), Progress in Turbulence V: Proceedings of the iTi Conference in Turbulence, 2012 (pp. 211-215). Heidelberg, DE: Springer Verlag. Winden, B., Turnock, S., & Hudson, D. (2013). A CFD approach to estimating the performance of ships in waves. Paper presented at 4th UK Marine Technology Postgraduate Conference, United Kingdom. Winden, B., Turnock, S. R., & Hudson, D. A. (2013). A RANS Modelling Approach for Predicting Powering Performance of Ships in Waves. In Proceedings of PRADS2013 Conference (pp. 31-38). Society of Naval Architects of Korea. Lloyd, T. P., Turnock, S. R., & Humphrey, V. F. (2013). Computation of inflow turbulence noise of a tidal turbine. Paper presented at 10th European Wave and Tidal Energy Conference, Denmark. James, M., Turnock, S. R., & Hudson, D. A. (2013). Flow past a sphere at the free-surface using URANS. Paper presented at 16th Numerical Towing Tank Symposium, Germany. Banks, J., Bercin, K., Lloyd, T. P., & Turnock, S. R. (2013). Fluid structure interaction analyses of tidal turbines. Paper presented at 16th Numerical Towing Tanks Symposium, Germany. Bennett, S., Winden, B., Brooks, C. J., Turnock, S. R., Hudson, D. A., Forrester, A. I. J., & Taunton, D. J. (2012). A wireless sensor network for measuring ship responses in abnormal waves. Paper presented at 29th Symposium on Naval Hydrodynamics, Sweden. Dedes, E., Hudson, D. A., & Turnock, S. R. (2012). Design and simulation of hybrid propulsion systems for reduction of fuel oil consumption and shipping emissions. Paper presented at 1st International MARINELIVE Conference on 'All Electric Ship', Greece. James, M. C., Turnock, S. R., & Hudson, D. A. (2012). Design of retrofit devices using CFD, validated with wind tunnel tests. Paper presented at NuTTS 2012: 15th Numerical Towing Tank Symposium, Italy. Harwood, I. A., Turnock, S. R., & Ashleigh, M. J. (2012). Developing a ‘confidentiality bubble’ model for managing restricted information. Paper presented at ANZAM2012: 26th Annual Australian and New Zealand Academy of Management Conference, Australia. Keane, G. A., Taunton, D. J., Hudson, D. A., & Turnock, S. R. (2012). Group working and project assessment in undergraduate ship design assignments. Paper presented at RINA International Seminar on the Education and Professional Development of Engineers in the Maritime Industry, United Kingdom. Bennett, S., Winden, B., Brooks, C. J., Turnock, S., & Hudson, D. A. (2012). High speed video analysis of freak wave-ship model experiments. In D. Le Touzé, N. Grenier, & D. A. Barcarolo (Eds. ), 2nd International Conference on Violent Flows (pp. 98-106). Paris, FR: Publibook. Lloyd, T. P., Gruber, M., Turnock, S. R., & Humphrey, V. F. (2012). Simulation of inflow turbulence noise. Paper presented at Proceedings of the 15th Numerical Towing Tank Symposium, Italy. Winden, B., Turnock, S. R., & Hudson, D. A. (2012). Validating force calculations using OpenFOAM on a fixed wigley hull in waves. Paper presented at NuTTS 2012: 15th Numerical Towing Tank Symposium, Italy. Winden, B., Turnock, S., & Hudson, D. (2012). Viscous effects on added resistance in waves. 48. Paper presented at 3rd UK Marine Technology Postgraduate Conference, United Kingdom. Nicholls-Lee, R. F., Turnock, S. R., & Boyd, S. W. (2011). A method for analysing fluid structure interactions on a horizontal axis tidal turbine. Paper presented at 9th European Wave and Tidal Energy Conference (EWTEC 2011), United Kingdom. Harwood, I. A., Turnock, S. R., & Ashleigh, M. J. (2011). Bubble theory: can nature teach us anything about keeping secrets?. Paper presented at British Academy of Management Conference (BAM2011), United Kingdom. Melling, G., Dix, J. K., Turnock, S. R., & Whitehouse, R. (2011). CFD-based methods for numerical modelling of scour. Paper presented at Numerical Towing Tank Symposium, United Kingdom. Trimarchi, D., Vidrascu, M., Taunton, D. J., Turnock, S., & Chapelle, D. (2011). Fluid structure interactions applied to downwind yacht sails. Paper presented at 10e Colloque National en Calcul des Structures (CSMA 2011), France. Lewis, S. G., Skrzynski, M., Turnock, S. R., & Wright, A. M. (Accepted/In press). Methodology for improving stern gear design of high speed craft using cfd simulation. In Proceedings of the international conference on the design, construction & operation of super & mega yachts conference (pp. 67-76). Royal Institution of Naval Architects. Lloyd, T. P., Turnock, S. R., & Humphrey, V. F. (2011). Modelling techniques for underwater noise generated by tidal turbines in shallow water. Paper presented at Proceedings of the 30th International Conference on Ocean, Offshore and Arctic Engineering, Netherlands. Dedes, E., Turnock, S. R., Hudson, D. A., & Hirdaris, S. (2011). Possible power train concepts for nuclear powered merchant ships. 261-274. Paper presented at LCS 2011: International Conference on Technologies, Operations, Logistics and Modelling for Low Carbon Shipping, United Kingdom. Nicholls-Lee, R. F., Turnock, S. R., & Boyd, S. W. (2011). Tidal turbine blade selection for optimal performance in an array. In Proceedings of the 30th International Conference on Ocean, Offshore and Arctic Engineering (OMAE2011), June 19-24, 2011, Rotterdam, The Netherlands New York, US: American Society Of Mechanical Engineers (ASME). Lloyd, T. P., Turnock, S. R., & Humphrey, V. F. (2011). Unsteady CFD of a marine current turbine using OpenFOAM with generalised grid interface. Paper presented at Proceedings of the 14th Numerical Towing Tank Symposium, United Kingdom. Denchfield, S., Winden, B., Brooks, C. J., Turnock, S. R., Hudson, D. A., Forrester, A. I. J., & Taunton, D. J. (2011). Wireless sensor network for determining boat motions and hydroelastic responses. Paper presented at Second International Conference on Advanced Model Measurement Technology for EU Maritime Industry (AMT' 11), United Kingdom. Auboin, L., Blake, J. I. R., Rigg, C., Robinson, W., Streeter, M., Taunton, D. J., & Turnock, S. R. (2010). A fault tree based investigation of the reliability of ocean racing yachts incorporating human performance and canting keel impacts. Poster session presented at 2nd International Conference on Innovation in High Performance Sailing Yachts, France. Querard, A. B. G., Temarel, P., & Turnock, S. R. (2010). Application of RANS to hydrodynamics of bilge keels and baffles. Paper presented at William Froude Conference on Advances in theoretical and applied hydrodynamics – Past and Future, United Kingdom. Dedes, E., Hudson, D. A., & Turnock, S. R. (2010). Design of hybrid diesel-electric energy storage systems to maximize overall ship propulsive efficiency. Paper presented at PRADS 2010: 11th International Symposium on Practical Design of Ships and Other Floating Structures, Brazil. Dedes, E., Hudson, D. A., & Turnock, S. R. (2010). Development of hybrid diesel - electric propulsion system for ships. 1st Marine Technology Postgraduate Conference, United Kingdom. Trimarchi, D., Turnock, S. R., Taunton, D. J., & Chapelle, D. (2010). The use of shell elements to capture sail wrinkles, and their influence on aerodynamic loads. Paper presented at Second International Conference on Innovation in High Performance Sailing Yachts, France. Nielsen, F. G., Argyriadis, K., Fonseca, N., Le Boulluec, M., Liu, P., Suzuki, H., ... Zong, Z. (2009). [Report of] Specialist Committee V.4: ocean, wind and wave energy utilization. In Proceedings of the 17th International Ship and Offshore Structures Congress (pp. 201-257). Seoul, Korea: Seoul National University. Schreier, S., Godderidge, B., Paschen, M., Turnock, S., Tan, M. Y., & Cowlan, N. (2009). Assessment of transient sloshing due to encounter of an LNG carrier with a steep wave. Paper presented at 28th International Conference on Ocean, Offshore and Arctic Engineering (OMAE 2009), . Lee, Y., Godderidge, B., Tan, M., Temarel, P., Turnock, S. R., & Cowlan, N. (2009). Coupling between ship motion and sloshing using potential flow analysis and rapid sloshing model. Paper presented at Nineteenth (2009) International Offshore and Polar Engineering Conference (ISOPE-2009 Osaka), . Molland, A. F., Turnock, S. R., & Hudson, D. A. (2009). Design metrics for evaluating the propulsive efficiency of future ships. 209-225. Paper presented at IMDC 2009: 10th International Marine Design Conference, . Nicholls-Lee, R. F., Boyd, S. W., & Turnock, S. R. (2009). Development of high performance composite bend-twist coupled blades for a horizontal axis tidal turbine. Paper presented at ICCM17: 17th International Conference on Composite Materials, United Kingdom. Hudson, D. A., Lewis, S. G., & Turnock, S. R. (2009). Experimental and CFD investigations into slamming of small, high speed craft. ONR Hull Slamming Workshop, United States. Godderidge, B., Turnock, S. R., Cowlan, N., & Tan, M. (2009). ISOPE 2009 Sloshing Comparative Study: simulation of lateral sloshing with multiphase CFD. In Proceedings of the Nineteenth (2009) International Offshore and Polar Engineering Conference (pp. 239-246). USA: International Society of Offshore and Polar Engineers. Turnock, S. R., Keane, A. J., Bressloff, N. W., Nicholls-Lee, R. F., & Boyd, S. W. (2009). Morphing of ‘flying’ shapes for autonomous underwater and aerial vehicles. 1-19. Paper presented at NATO RTO Modelling & Simulation Conference 2009, . Turnock, S. R., Nicholls-Lee, R., Wood, R. J. K., & Wharton, J. A. (2009). Tidal turbines that survive?. Marine Corrosion Forum, . Nicholls-Lee, R. F., Boyd, S. W., & Turnock, S. R. (2009). Use of cryogenic buoyancy systems for controlled removal of heavy objects from the seabed. Paper presented at ASME 28th International Conference on Ocean, Offshore and Arctic Engineering, OMAE 2009, . Querard, A. B. G., Temarel, P., & Turnock, S. R. (2008). A RANS approach to hydrodynamic and hydroelastic responses of a flexible barge. 493-504. Paper presented at Proceedings of 8th International Conference on Hydrodynamics (ICHD'08), . Roche, J., Turnock, S. R., & Wright, A. M. (2008). An analysis of the interaction between slider physique and descent time for the bob skeleton. In M. Estivalet, & P. Brisson (Eds. ), The Engineering of Sport 7 (pp. 101-110). Springer. Godderidge, B., Turnock, S., Earl, C., & Tan, M. (2008). Identification of dangerous LNG sloshing using a rapid sloshing model validated with computational fluid dynamics. In J. S. Chung, S. T. Grilli, S. Naito, & Q. Ma (Eds. ), The Proceedings of the Eighteenth (2008) international Offshore and Polar engineering conference (pp. 170-177). International Society of Offshore and Polar Engineers. Lewis, S. G., Hudson, D. A., & Turnock, S. R. (2008). Improvement to body impact predictions using CFD through analysis of an unsteady boundary layer.. 65-70. Paper presented at 11th Numerical Towing Tank Symposium, . Quérard, A., Temarel, P., & Turnock, S. (2008). Influence of viscous effects on the hydrodynamics of ship- like sections undergoing symmetric and anti-symmetric motions, using RANS. Paper presented at 27th International Conference on Offshore Mechanics and Arctic Engineering, Estoril, Portugal. Findlay, M. W., & Turnock, S. R. (2008). Investigating sailing styles and boat set-up on the performance of a hydrofoiling Moth dinghy. Paper presented at 20th International HISWA Symposium on Yacht Design and Yacht Construction, . Findlay, M. W., & Turnock, S. R. (2008). Investigation of the effects of hydrofoil set-up on the performance of an international moth dinghy using a dynamic VPP. 43-56. Paper presented at Innovation in High Performance Sailing Yachts, . Nicholls-Lee, R. F., Turnock, S. R., & Boyd, S. W. (2008). Performance prediction of a free stream tidal turbine with composite bend-twist coupled blades. Poster session presented at 2nd International Conference on Ocean Energy (ICOE 2008), . Findlay, M., & Turnock, S. (2008). Rowing strategies in Cambridge bumps races. In M. Estivalet, & P. Brisson (Eds. ), The Engineering of Sport 7 (pp. 53-64). Springer. Nicholls-Lee, R. F., Turnock, S. R., Boyd, S. W., Betram, V. (Ed. ), & Rigo, P. (Ed.) (2008). Simulation based optimisation of marine current turbine blades. 314-328. 7th International Conference on Computer and IT Applications in the Maritime Industries (COMPIT’08), . Godderidge, B., Turnock, S. R., Tan, M., & Earl, C. (2008). The effect of an internal pump tower on fluid sloshing in a rectangular container. 53-64. Paper presented at Marine CFD 2008, . Barkley, G. S., Hudson, D. A., Turnock, S. R., & Spinney, D. R. B. (2007). Are daggerboards and trimtabs necessary when sailing upwind with a canting keel. 123-133. Paper presented at Modern Yacht, . Godderidge, B., Tan, M., Earl, C., Turnock, S., & ISOPE (2007). Boundary layer resolution for modeling of a sloshing liquid. In J. S. Chung, S. W. Hong, S. Nagata, J. N. A. Antonio, & W. Koterayama (Eds. ), Proceedings of The Seventeenth (2007) International Offshore and Polar Engineering Conference (pp. 1905-1911). USA: International Society of Offshore and Polar Engineers. Turnock, S. R., Muller, G., Nicholls-Lee, R. F., Denchfield, S., Hindley, S., Shelmerdine, R., & Stevens, S. (2007). Development of a floating tidal energy system suitable for use in shallow water. Paper presented at 7th European Wave and Tidal Energy Conference (EWTEC 2007), Portugal. Turnock, S. R., Nicholls-Lee, R. F., Allton, R., McKenzie, D., Sharpe, M., & Rigg, R. (2007). Economic viability of alternative horizontal axis tidal turbine concepts: operation and maintenance simplicity is the key?. Wave and Tidal Technology Symposium (WATTS 2007), . Godderidge, B., Tan, M. Y., Earl, C., & Turnock, S. R. (2007). Grid resolution for the simulation of sloshing using CFD. Paper presented at 10th Numerical Towing Tank Symposium (NuTTS'07), . Hudson, D. A., Turnock, S. R., & Lewis, S. G. (2007). Predicting motions of high-speed rigid inflatable boats: improved wedge impact prediction. 377-383. Paper presented at The Ninth International Conference on Fast Sea Transportation (FAST2007), . Lewis, S. G., Hudson, D. A., & Turnock, S. R. (2007). Simulation of a free falling wedge into water using 2D CFD with applications in the prediction of high speed craft motions. Paper presented at 10th Numerical Towing Tank Symposium (NuTTS'07), . Nicholls-Lee, R. F., & Turnock, S. R. (2007). The use of computational fluid dynamics in the optimisation of marine current turbines. Paper presented at 10th Numerical Towing Tank Symposium (NuTTS'07), . Querard, A., Temarel, P., & Turnock, S. R. (2006). Developments on hydroelasticity of ships using RANS. Paper presented at 10th Numerical Towing Tank Symposium, . Turnock, S. R., Pashias, C., & Rogers, E. (2006). Flow feature identification for capture of propeller tip vortex evolution. In Proceedings of the 26th Symposium on Naval Hydrodynamics (pp. 223-240). Rome, IT: INSEAN Italian Ship Model Basin / Office of Naval Research. Lambkin, D. O., Dix, J., & Turnock, S. R. (2006). Flow patterning associated with three-dimensional obstacles: a proxy for scour. In Proceedings of the Third International Conference on Scour and Erosion (pp. 162-170). Gouda, The Netherlands: CURNET. Godderidge, B., Tan, M., Earl, C., & Turnock, S. R. (2006). Multiphase CFD modelling of a lateral sloshing tank. 59-64. Paper presented at 10th Numerical Towing Tank Symposium, . Lewis, S. G., Hudson, D. A., & Turnock, S. R. (2006). Visualisation techniques for interpreting performance of high speed craft. In Proceedings of the 10th Numerical Towing Tank Symposium (NuTTS'06) Le Croisic, France: Ecole Centrale de Nantes. Thornton, B., Ura, T., Nose, Y., & Turnock, S. (2006). Zero-G class underwater robots and unrestricted attitude control using control moment gyros. Paper presented at IEEE Oceans'06 Asia Pacific IEEE, . Turnock, S. R., Squibb, A., van Someren, M., Rock Evans, M., Parker, R., & Leszczynski, R. (2005). Application of simulation technology to the performance evaluation of HMS Victory as an exemplar of the ships within the fleets at Trafalgar. 1-40. Paper presented at Technology of the Ships of Trafalgar: an Homage to their Designers and Constructors, . Pattenden, R. J., Turnock, S. R., Bissuel, M., & Pashias, C. (2005). Experiments and numerical modelling of the flow around the kvlcc2 hullform at an angle of yaw. In Proceedings of the 5th Osaka Colloquium on Advanced Research on Ship Viscous Flow and Hull Form Design by EFD and CFD Approaches (pp. 163-170). Osaka Prefecture University. Thornton, B., Ura, T., Nose, Y., & Turnock, S. (2005). Internal actuation of underwater robots for unrestricted attitude control. In Proceedings of 18th Ocean Engineering Symposium (pp. 1-8). Society of Naval Architects and Marine Engineers. Pattenden, R. J., Turnock, S. R., & Pashias, C. (2005). Oblique ship flow predictions using identification of vortex centres to control mesh adaptation. In Proceedings of CFDWS05 (pp. 454-459). Computational Fluid Dynamics. Pashias, C., & Turnock, S. R. (2004). Accurate capture of lifting surface tip vortex and wake. Paper presented at 2004 UK ANSYS Conference, . Turnock, S. R., & Querard, A. B. G. (2004). Measurements of the evolution of the wake and tip vortex of a control surface undergoing periodic motion. 1-19. Paper presented at 27th American Towing Tank Conference, . Pattenden, R. J., Turnock, S. R., & Bressloff, N. W. (2004). The use of detached eddy simulation in ship hydrodynamics. 1-19. Paper presented at 25th Symposium on Naval Hydrodynamics, . Pashias, C., Turnock, S. R., & Abu-Sharkh, S. M. (2003). Design optimization of a bi-directional integrated thruster. In Proceedings of Propellors / Shafting Symposium 2003 (SNAME 13) (pp. 13pp). USA: Society of Naval Architects and Marine Engineers. Pattenden, R. J., Turnock, S. R., & Bressloff, N. W. (2003). Developments in the use of large eddy simulation for ship hydrodynamics. Paper presented at The 3rd International 'Computational Fluid Dynamics in Ship Hydrodynamics' Conference (CFD2003), . Pattenden, R. J., Turnock, S. R., & Bressloff, N. W. (2002). An experimental and computational study of three dimensional unsteady flow features found behind a truncated cylinder. In Twenty-Fourth Symposium on Naval Hydrodynamics (pp. 305-321). Washington, USA: National Academy Press. Pemberton, R., Turnock, S., Wright, A., & Blake, J. I. R. (2001). A comparison of Computational Methods for Planing Craft Hydrodynamics. Paper presented at HIPER '01, International Conference on High Performance Marine Vehicles, . Turnock, S. R., Holroyd, N. J., & Date, J. C. (2001). Appendage design for the America's Cup using CFD. Paper presented at European Congress on Computational Methods in Applied Sciences and Engineering (ECCOMAS--CFD 2001), . Turnock, S. R. (2001). Effective design of small craft propulsion systems. Paper presented at Proceedings of International Workshop on Small Craft, . Pemberton, R., Turnock, S. R., & Watson, S. J. (2001). Free surface CFD simulations of the flow around a planing plate. In Proceedings of the 6th International Conference on Fast Sea Transportation (pp. 321-327). London, UK: Royal Institution of Naval Architects. Abu-Sharkh, S. M., Turnock, S. R., & Draper, G. (2001). Performance of a tip-driven electric thrusters for unmanned underwater vehicles. In The Proceedings of The Eleventh (2001) International Offshore and Polar Engineering Conference (pp. 321-324). Mountain View, USA: International Society of Offshore and Polar Engineers. Hughes, A. W., Turnock, S. R., & Abu Sharkh, S. (2000). CFD modelling of a novel electromagnetic tip-driven thruster. In Proceedings of the International Offshore and Polar Engineering Conference (pp. 294-298). Cupertino, USA: International Society of Offshore and Polar Engineers. Turnock, S. R., Pattenden, R. J., Pemberton, R., & Watson, S. (2000). Computation of viscous steady flow around the KRISO tanker (KVLCC2) hull form. Paper presented at Gothenburg 2000. A Workshop on Numerical Ship Hydrodynamics, . Hughes, A. W., Abu Sharkh, S. M., & Turnock, S. R. (2000). Design and testing of a novel electromagnetic tip driven thruster. In Proceedings of the Tenth International Offshore and Polar Engineering Conference (pp. 299-303). Cupertino, USA: International Society of Offshore and Polar Engineers. Law, R. A., & Turnock, S. R. (2000). Utilising existing computational resources to create a commodity PC network suitable for fast CFD computation. In C. B. Jenssen, T. Kvamdal, H. I. Andersson, B. Peterson, A. Ecer, J. Periaux, N. Satofuka, ... P. Fox (Eds. ), Parallel Computational Fluid Dynamics 2000: Trends and Applications Amsterdam, The Netherlands: Elsevier. Molland, A. F., Turnock, S. R., & Smithwick, J. E. T. (1998). Design studies of the manoeuvring performance of rudder-propeller systems. In M. C. W. Oosterveld, & S. G. Tan (Eds. ), Proceedings of the Seventh International Symposium on Practical Design of Ships and Mobile Units, The Hague, The Netherlands, September 1998 (pp. 807-816). (Developments in Marine Technology; No. 11). Amsterdam, Netherlands: Elsevier. Rycroft, N. C., & Turnock, S. R. (1998). Hybrid cell finite volume Euler solutions of flow around a main-Jib sail using an IBM SP2. In N. Satofuka, A. Ecer, J. Periaux, & P. Fox (Eds. ), Parallel Computational Fluid Dynamics '97: Recent Developments and Advances Using Parallel Computers - Proceedings of the Parallel CFD Conferences, Manchester, United Kingdom, 19-23 May 1997 (pp. 263-272). Amsterdam, Netherlands: Elsevier. Turnock, S. R., & Smithwick, J. E. T. (1998). Practical analysis of the hydrodynamic performance of the Reflex 28 keel and rudder. Paper presented at International Conference on the Modern Yacht, . Satchwell, C. J., & Turnock, S. R. (1998). Structurally efficient aerofoils for wind turbines. In M. Pirner, & O. Fischer (Eds. ), 2nd EECWE '98: Proceedings of 2nd East European Conference on Wind Engineering 7-11 September 1998, Prague, Czech Republic (pp. 78-82). Prague, Czech Republic: Institute of Theoretical and Applied Mechanics (ITAM), Academy of Sciences of the Czech Republic. Molland, A. F., & Turnock, S. R. (1998). The effect of the hull on the manoeuvring performance of rudders. Paper presented at International Conference on Ship Motions and Manoeuvrability, . Turnock, S. R., & Hughes, A. W. (1997). Evaluation of a CFD code for investigating hull-waterjet flow interaction. Paper presented at RINA'97: International Symposium Power, Performance and Operability of Small Craft, . Turnock, S. R., Hughes, A. W., Moss, R., & Molland, A. F. (1997). Investigation of hull-waterjet flow interaction. In N. Baird, & A. Jeffs (Eds. ), FAST'97 / fourth International Conference on Fast Sea Transportation, Sydney, Australia, July 21-23, 1997 (pp. 51-58). South Yarra, Australia: Baird Publications. Turnock, S. R. (1995). Minimising the environmental impact of shipping: clean ships for a new century. In Proceedings of MARIENV'95 (pp. 533-540). Tokyo, Japan: Society of Naval Architects of Japan. Molland, A. F., & Turnock, S. R. (1992). The prediction of ship rudder performance characteristics in the presence of a propeller. In P. A. Wilson (Ed. ), Manoeuvring and Control of Marine Craft. Proceedings of the Second International Conference, held in Southampton, UK, 14-17 July 1992 (pp. 475-492). Boston, USA: Computational Mechanics Publications. Turnock, S. R. (1990). Parallel implementation of an explicit finite volume Euler solver on an array of transputers. In Proceedings of the 17th International Council of the Aeronautical Sciences Congress (pp. 1557-1568). Washington, US: American Institute of Aeronautics and Astronautics. Turnock, S., & Molland, A. (1970). Energy efficiency of ship propulsive systems: rudder-propeller interaction. Ship Propulsion Systems Conference, . Trimarchi, D., Turnock, S. R., Chapelle, D., & Taunton, D. (1970). Fluid-structure interactions of anisotropic thin composite materials for application to sail aerodynamics of a yacht in waves. Paper presented at 12th Numerical Towing Tank Symposium, Italy. Querard, A. B. G., Temarel, P., & Turnock, S. R. (1970). Hydrodynamics of ship-like sections in heave, sway and roll motions using RANS. In Maritime Industry, Ocean Engineering and Coastal Resources: Proceedings of the 12th International Congress of the International Maritime Association (pp. 77-83). (Balkema--Proceedings and Monographs in Engineering, Water and Earth Sciences; Vol. Volume 1: Marit). London, UK: Taylor and Francis. Moat, B. I., Smeed, D. A., Marcinko, C., Popinet, S., & Turnock, S. (2016). Flow distortion around underwater gliders and impacts on sensor measurements: a pilot study using large-eddy simulations. (National Oceanography Centre Research and Consultancy Report; No. 58). Southampton, UK: National Oceanography Centre. Collison, R. E., James, M. C., Turnock, S. R., & Hudson, D. A. (2013). Retro-fit solutions for energy efficient shipping. (Ship Science Reports; No. 148). Universty of Southampton. de Hauteclocque, G., Dix, J., Lambkin, D. O., & Turnock, S. R. (2007). Flow and likely scour around three dimensional seabed structures evaluated using RANS CFD. (Ship Science Report; No. 144). Southampton, GB: University of Southampton. Godderidge, B., Tan, M., Turnock, S. R., & Earl, C. (2006). A verification and validation study of the application of computational fluid dynamics to the modelling of lateral sloshing. (Ship Science Reports; No. 140). Southampton, UK: University of Southampton. Stuck, A., Turnock, S., & Bressloff, N. (2004). An evaluation of the RANS method for the prediction of steady ship rudder performance compared to wind tunnel measurements. (Ship Science Reports; No. 130). Southampton, UK: University of Southampton. Turnock, S. R. (2004). Parametric definition of complex multi-appended bodies for marine and aerospace application: a user guide to Adaptflexi. (Ship Science Report; No. 136). Southampton, GB: University of Southampton. Pashias, C., & Turnock, S. R. (2003). Hydrodynamic design of a bi-directional, rim-driven ducted thruster suitable for underwater vehicles. (Ship Science Reports; No. 128). Southampton, UK: University of Southampton. Date, J. C., & Turnock, S. R. (1999). A study into the techniques needed to accurately predict skin friction using RANS solvers with validation against Froude's historical flat plate experimental data. (Ship Science Reports; No. 114). Southampton, UK: University of Southampton. Wright, A. M., & Turnock, S. R. (1999). Convective cell approach for solving incompressible Euler flows: explicit flux vector splitting scheme using artificial compressibility. (Ship Science Reports; No. 117). Southampton, UK: University of Southampton. Wright, A. M., & Turnock, S. R. (1999). Efficient multi-level adaption methods for unstructured polyhedral computational meshes. (Ship Science Reports; No. 109). Southampton, UK: University of Southampton. Wright, A. M., & Turnock, S. R. (1999). Techniques for assessing the flow and spatial quality of arbitrary 3D computational meshes. (Ship Science Reports; No. 108). Southampton, UK: University of Southampton. Hughes, A. W., & Turnock, S. R. (1997). Computational fluid dynamic investigation of hull-waterjet flow interaction. (Ship Science Reports; No. 102). Southampton, UK: University of Southampton. Turnock, S. R. (1997). Technical manual and user guide for the surface panel code: PALISUPAN. (Ship Science Reports; No. 100). Southampton, UK: University of Southampton. Rycroft, N. C., & Turnock, S. R. (1997). Three-dimensional multiblock grid generation: fleximesh. (Ship Science Reports; No. 101). Southampton, UK: University of Southampton. Molland, A. F., Turnock, S. R., & Smithwick, J. E. T. (1996). Investigation of the influence of propeller loading on a ship rudder in the bollard (J=0) condition. (Ship Science Reports; No. 94). Southampton, UK: University of Southampton. Molland, A. F., & Turnock, S. R. (1995). Wind tunnel tests on the effect of a ship hull on rudder-propeller performance at different angles of drift. (Ship Science Reports; No. 76). Southampton, UK: University of Southampton. Molland, A. F., Turnock, S. R., & Smithwick, J. E. T. (1995). Wind tunnel tests on the influence of propeller loading and the effect of a ship hull on skeg-rudder performance. (Ship Science Reports; No. 90). Southampton, UK: University of Southampton. Molland, A. F., & Turnock, S. R. (1994). Further developments in the use of blade element-momentum and modified lifting line theories to predict rudder-propeller interactions. (Ship Science Reports; No. 80). Southampton, UK: University of Southampton. Turnock, S. R. (1993). Parallel algorithm for surface panel analysis. (Ship Science Reports; No. 63). Southampton, UK: University of Southampton. Molland, A. F., & Turnock, S. R. (1993). Preliminary wind tunnel investigation of the influence of propeller loading on a ship rudder in the bollard (J=0) condition. (Ship Science Reports; No. 49). Southampton, UK: University of Southampton. Molland, A. F., & Turnock, S. R. (1993). Wind tunnel investigation of the influence of propeller loading on a semi-balanced skeg rudder. (Ship Science Reports; No. 48). Southampton, UK: University of Southampton. Molland, A. F., & Turnock, S. R. (1993). Wind tunnel tests on the influence of propeller loading on ship rudder performance: four quadrant operation, low and zero speed operation. (Ship Science Reports; No. 64). Southampton, UK: University of Southampton. Molland, A. F., & Turnock, S. R. (1992). Further wind tunnel tests on the influence of propeller loading on ship rudder performance. (Ship Science Reports; No. 52). Southampton, UK: University of Southampton. Turnock, S. R. (1992). Lifting surface method for modelling ship rudders and propellers. (Ship Science Reports; No. 50). Southampton, UK: University of Southampton. Turnock, S. R. (1992). Validation of a lifting surface method for modelling rudder-propeller interaction. (Ship Science Reports; No. 53). Southampton, UK: University of Southampton. Molland, A. F., & Turnock, S. R. (1991). Wind tunnel investigation of the influence of propeller loading on ship rudder performance. (Ship Science Reports; No. 46). Southampton, UK: University of Southampton. Turnock, S. R. (1990). A test rig for the investigation of ship propeller/rudder interactions. (Ship Science Reports; No. 45). Southampton, UK: University of Southampton. Turnock, S. R. (1990). Computer aided design and numerically controlled manufacture of a split mould for a composite model ship propeller. (Ship Science Reports; No. 42). Southampton, UK: University of Southampton. Molland, A. F., & Turnock, S. R. (1990). The design and construction of propeller blades in composite materials for a wind tunnel model. (Ship Science Reports; No. 41). Southampton, UK: University of Southampton. Molland, A. F., & Turnock, S. R. (1990). The design, construction and calibration of a thrust and torque dynamometer for a wind tunnel propeller model. (Ship Science Reports; No. 44). Southampton, UK: University of Southampton. Molland, A. F., & Turnock, S. R. (1990). Wind tunnel test results for a model ship propeller based on a modified Wageningen B4.40. (Ship Science Reports; No. 43). Southampton, UK: University of Southampton. Turnock, S. R. (1989). Two-dimensional wind tunnel tests of the SSS series 1 structurally efficient aerofoils for wind turbines. (Ship Science Reports; No. 38). Southampton, UK: University of Southampton.